JT Meyer scored what proved to be the game winning goal in the 49th minute with a looper that went over the head of the Vancouver goalkeeper and the Oly Town Artesians held on to a 2-1 win over the Vancouver Victory at Ridgefield Stadium on Tuesday night. Blake McMillian got it all started by heading home the first goal of the game in the 13th minute on a corner kick from Gabriele Zaccagnini, and the Artesians defense stepped up big in the end to secure their third win of the season. Oly’s two goals were a welcome breakout for a team that has struggled offensively. McMillian’s goal in the 13th minute was the first goal in the run of play for Oly Town since their 5-0 win over Spokane on May 21st. In the previous three games, Oly scored two penalty kicks but nothing otherwise. It is also only the second game this season in which the Artesians have scored more than one goal. Vancouver did make things interesting in the 55th minute when Nate Cheney scored on a ball that binged off of a few heads before he got to it last in the middle of traffic. The Victory threatened late but Olson was up to the task and got some help from Issa Hassan, who got a foot on the ball just in front of the line on a shot that caught Olson out of position and would have tied the game up late. The win moved the Artesians to 3-4-1 with 10 points with a trip to Yakima to take on the Hoppers coming up on Saturday. Vancouver fell to 4-2-1 with 13 points but still sit in 3rd place in the Evergreen Premier League. 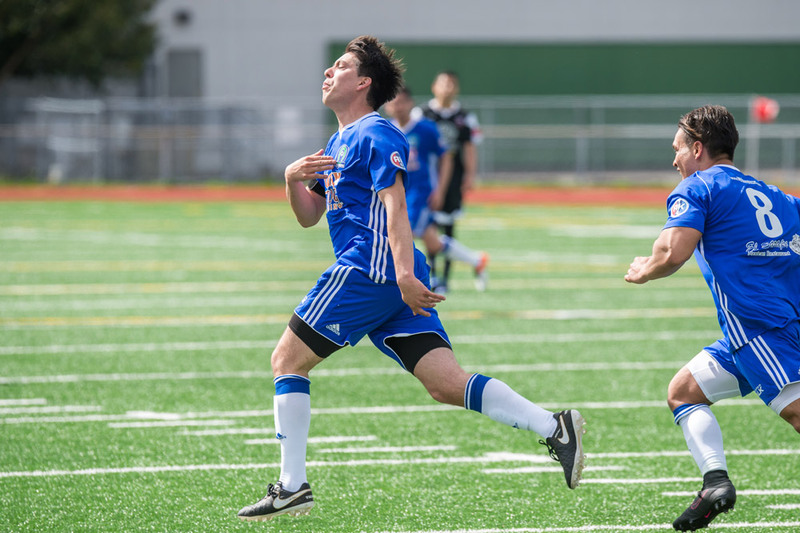 The next home game for the Artesians will be against Vancouver on Tuesday, July 11 at 7:00 p.m..
Keep up to date with the Artesians all season long by visiting the Oly Town Artesian website, following them on Twitter, and liking them on Facebook.